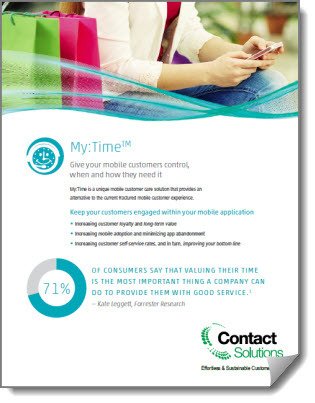 My:Time™ engages your customers through the digital devices they use most: smartphones, tablets, and personal computers. At the device My:Time can run independently, or be embedded to complement your self-service apps on the web, mobile web, or smartphone. At your enterprise, My:Time can integrate to your CRM system as well as other back end systems to exchange data and support customer transactions. But the magic's in the middle, inside the My:Time Cloud. 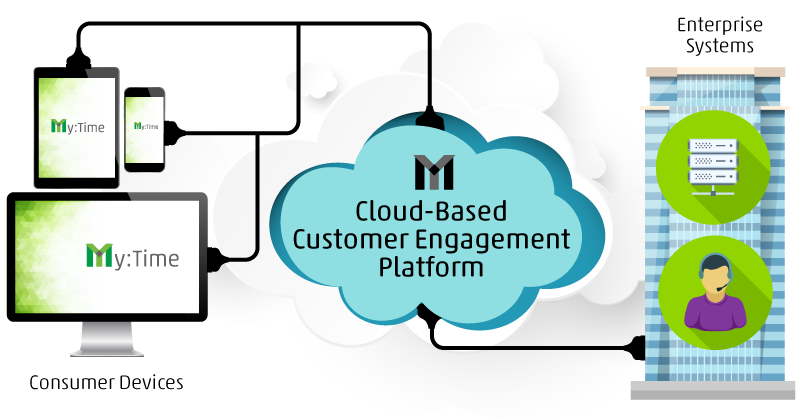 That's where the My:Time engagement platform does all the heavy lifting necessary to manage conversations, maintain context, record interaction history, keep transactions secure, and provide 99.999% uptime.